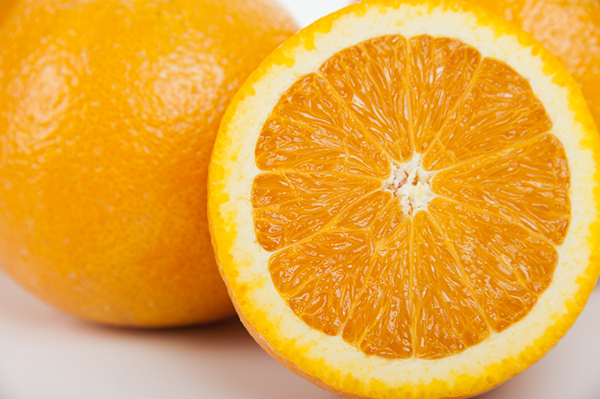 The Washington navel orange is the most well know cultivar of sweet oranges in the world. It goes by names such as "Riverside Navel", "Bahia", and "Washington" and established itself in the United States from twelve grafted Brazilian trees around 1870. One of the original grafted trees still stands in Riverside California in a small park, hence the alias. The tree size is medium, with lush green foliage and a round top and the fruit holds well on the limbs. Since the Washington orange has no seeds, is rich in flavor, very juicy and easy to peel, it is known as the traditional "eating orange". Tip: if you plan to juice this orange you will need to consume it within a couple of days because the juice may become bitter the longer it stands.